Do you own and live in a condo or townhome? Condos are a hot commodity for first time homeowners as they tend to be financially within reach of many young professionals. Wrapping your head around condo insurance requirements for strata-based housing can help to save you money and ensure you have enough coverage to protect your investment both on and off the property. Read over these 5 tips to consider when shopping around for the right condo insurance for your home. Does Your Strata Insurance Cover You? NO. 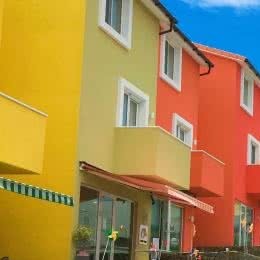 You need to provide your own home insurance if you own a condo or townhome. It’s a common misconception that your strata payments cover home insurance for your condo. While strata’s and building owners are required to carry an umbrella policy, this usually covers common areas such as the building’s exterior, hallways, pool, gym, and may not even cover appliances and features that came with the home. This is called the Master Policy. Bare walls-in covers the physical building from the external wall and inward. However, this policy-type does not cover the pre-installed installations such as the flooring, countertops, plumbing fixtures and other related items. Watch out for this type! All-in coverage is best, as it covers all of the items excluded in the previous policy type. You’ll still need a personal policy, but this additional cover will likely reduce your own costs. What is the Strata Deductible? Once again, really get to know the building’s master policy. If a situation occurs where a common area (or another unit) is damaged by way of an event that occurred from inside your unit, such as a pipe burst, you may be liable for the entire deductible on the master policy. These deductibles are extreme, and can be anywhere from $10,000, $25,000 or even $50,000! Developing a plan for a condo or town home is very different from that of a stand-alone home. With a separate home you’re developing a plan to cover replacement of the entire structure and contents. Insuring a condo is completely backwards; you’re insuring based on your contents out. So, it’s most important to take stock of all of your valuables, electronics and any upgrades that you or previous owner may have completed on the unit. These upgrades may not have been included in the grandfathered master policy. Yes, back to the master policy for the condo. There are so many scenarios where the building owner may have cut corners before, perhaps they haven’t updated the policy in a very long time to account for unit upgrades. The gaps in coverage that you want to look out for are areas where liability falls into your hands and sometimes they aren’t as forthcoming as you’d expect. For instance, if there was a rupture in a pipe in the hallway and the water seeped into your unit and damaged your floor, who’s liable? If the upstairs unit springs a leak and damages your property, how soon do you get funds to repair the unit since the strata may be going after the owner of the original unit and this could take a great deal of time. Are you on a ground floor unit and does the master policy cover flooding from overland water? 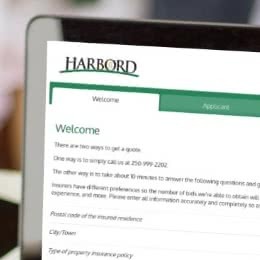 Personal insurance coverage for your condo or town home is a necessity. Unfortunately, digging up your building’s master policy, deductible information and gaps in coverage can take some sleuthing on your part. Fortunately, most reputable insurance providers (like us!) are skilled at this type of detective work and we will be able to look over your paperwork to help develop the absolute best plan to protect you from all manner of scenarios. Do you need a little bit more help understanding what coverage your building or strata carries? Please call one of our dedicated condo insurance brokers and we will be happy to spend some time helping you find the best possible coverage at the best possible price.